November 21st, 2008 , under Other. I’ve created a new video, and this one isn’t rendered like I said in the previous post (using flash > export movie > .mov), but I used the ImageSaver class every frame. I added an event listener to the class. So I started rendering frame 1. When frame 1 is completed, I call the save function. The ImageSaver class saves the images and dispatches an Event. When this Event.COMPLETE is being dispatched, I just render another frame. After rendering I call the save function again and wait till the Event.COMPLETE is being dispatched again. etcetera. 😉 Well, I think I’ve got my own mini-render engine. It works perfect for creating sequences of images (or just videos which use a lot of CPU or cannot be displayed at real-time). While rendering I counted the frames and stopped saving after 1000 frames. So, now we can render more heavy effects and create videos, right? 🙂 In this video 1000 images are rendered by actionscript, using additive blending and a BlurFilter. The movements are based on a Perlin noise. Not very heavy, but when running it in the FlashPlayer, I’ve cannot reach more than 11fps. The full version is 800×600 with transparency, 30fps. I used Premiere to merge all those images into a video. Amazing what you did here.I didn’t even imagine that performance of the flash engine is that great to do things like this. Is it maybe possible to share the source code of the flash waves with the community as I am looking for this a very long time and was unsuccessfull in creating this type of effect on my own. 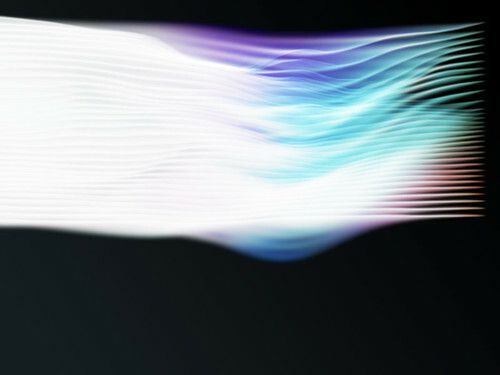 Or a push in the right direction on how to create the waving effect would also be greatly appreciated. Anyways, keep up the good work and hope to see some nice things here! I’ve seen that you put the wavy lines effect on Flashden. So I suspect that you won’t share the source for free? No problem though, happy to invest in talent like yours. It is strange that this type of effect hasn’t been tutorialized allready (hint, hint).